Peter Clarke, PhD, professor of preventive medicine, Keck School of Medicine of USC and professor of communication, USC Annenberg School for Communication and Journalism, and Susan Evans, PhD, research scientist, USC Annenberg School for Communication and Journalism, collaborated with professional chefs and fine cooking schools to develop a culturally sensitive smartphone app that helps parents prepare kid-friendly dishes with the vegetables they receive from food banks and food-assistance agencies. Called “Quick!Help for Meals,” the app gives family cooks a tool to match the sometimes unfamiliar foods they receive from food banks with their family’s tastes, cultural food preferences, medical considerations, and their kitchen appliances. 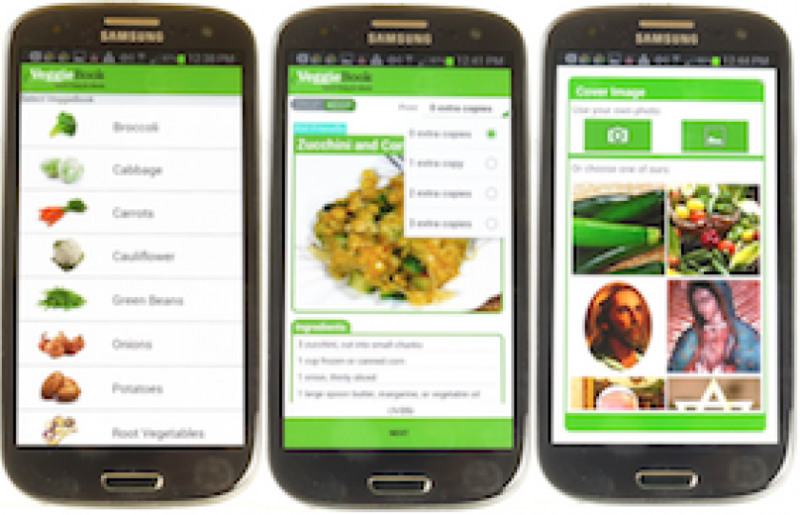 The app generates recipe books in English and Spanish customized for each family, as well as tips about food and nutrition. The app is designed to be used by parents and children together, a feature that promotes family conversations about healthy eating. Clarke and Evans worked with SC CTSI’s Community Engagement and Biostatistics programs to determine the impact of Quick!Help in community settings. They identified study designs, outcome measures, and a community outreach plan to test the acceptability, usability, and effectiveness of Quick!Help in two local food banks. Baseline assessments ask participating children to what extent they are involved in making food choices and to what extent they want to be involved. Kids across the board want to be involved in this area but generally are not. This app has allowed them to work with their parents to make healthy food choices. A randomized controlled trial of the app is currently underway and will allow the team to assess changes in families’ food choices, the amount of fresh fruits and vegetables consumed, as well as changes in overall health such as weight and blood pressure.